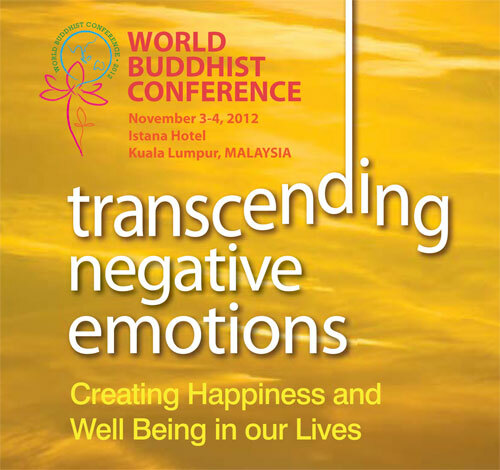 This website is provided to you by the Young Buddhist Association of Malaysia (YBAM) and Eastern Horizon (collectively, “we” or “us”). Please take a moment to read this Visitor Agreement. By using this website, you accept this Visitor Agreement. Our sites are always evolving; please be aware that we may change this Visitor Agreement from time to time. By continuing to use this site after we post any such changes, you accept this Visitor Agreement, as modified. Our Visitor Agreement is intended to make our sites safe for everybody. We invite you to bring to our attention any content on our sites you believe to be inaccurate, inappropriate or in violation of these rules. Use common sense when you use our and anybody else’s websites. The content that appears on our sites is for informational purposes only. Despite our efforts to provide useful and accurate information, errors may appear from time to time. Some of the content you find on our sites was not created, edited, or posted by us (for example, discussion group postings). The materials posted by third parties on our sites represent the views of such third parties and are not endorsed by us, nor do we guarantee the accuracy of any posting. Though we hope the advertisers, merchants and users you meet through our sites treat you honorably and fairly, we can’t vouch for the information, goods, or services they offer. Before you act on information you’ve found on or through any of our sites, confirm any facts that are important to your decision. We encourage you to exercise a healthy skepticism and good judgment. Registration. To obtain access to certain Eastern Horizon services, you will be given an opportunity to register with our site. As part of the registration process, you will select a password. You agree that the information you supply during that registration process will be accurate and complete and that you will not register under the name of, nor attempt to enter any of our sites under the name of, another person. You will be responsible for preserving the confidentiality of your password and for all actions of persons accessing any of our sites through any password assigned to you. Please notify us via email of any known or suspected unauthorized use of your account. that instigate or encourage others to commit illegal activities or cause injury or property damage to any person. We want users to feel free to share their email addresses in public posting areas. Accordingly, you may not use any other user’s information, personal or otherwise, for any commercial purpose, to send chain letters, junk mail, “spam,” or other bulk communications or for developing lists. Any such use by you will be a violation of this Visitor Agreement. Your use of the sites is limited to personal, non-commercial purposes. Your commercial exploitation of the sites is strictly prohibited, unless we grant prior written permission. Our Limited License to You. You are free to display and print for your personal, non-commercial use information you receive through our sites. You may not reproduce, distribute, or otherwise use any of the materials without the prior written consent of the Rights holder. Requests for permission to reproduce, distribute or otherwise use materials found on our sites should be made to admin@easternhorizon.org. The burden of determining whether any content on our sites is or is not protected by Rights rests with you. Marks. We do not want anyone to be confused about which materials and services are provided by us and which are not. You may not use any mark appearing on our sites without the prior written consent of the owner of the mark. Your License to Us. By submitting material to or through our sites, you grant us and our partners, agents, affiliates and service providers (collectively, “Affiliates”), the non-exclusive right to reproduce, modify and distribute such material as we see fit for any purpose in any form, media, or technology now known or later developed. You agree that we and our Affiliates may identify you as the author of any of your postings by name, email address or screen name as we see appropriate. You also permit any other user to access, display, and print such content for personal use. By submitting material to us, you are representing that such material does not violate or infringe any rights of any third party, including, but not limited to, copyright, trademark and other proprietary rights. If any third-party content is included in any materials that you submit, you must obtain permission from the content owner and attribute such content to the owner. Notice of Copyright Infringement. If you are an owner of intellectual property who believes your intellectual property has been improperly posted or distributed via this site, please notify us by sending an email to admin@easternhorizon.org. Please note that we may access and disclose your personally identifiable information in order to address any infringement claim. As a convenience to you, we may provide links to third-party websites. Those websites and the parties that control them are beyond our control. We make no representations as to the content, quality, suitability, functionality or legality of any sites to which we may provide links, and you hereby waive any claim you might have against us with respect to such sites and their operators. You may order services or merchandise through links on our sites from persons not affiliated with us. All matters concerning such merchandise or services, including, but not limited to, purchase terms, payment terms, warranties, guarantees, maintenance and delivery, are solely between you and the merchants with whom you chose to do business. We make no warranties or representations whatsoever with regard to any goods or services provided by those merchants. You will not consider us – nor will we be deemed – a party to such transactions, whether or not we may have received some form of remuneration in connection with the transaction. We will not be liable for any costs or damages arising out of any transaction (whether directly or indirectly) between you and any other person or entity. YOU AGREE THAT USE OF THE SITES IS AT YOUR SOLE RISK. OUR SITES ARE PROVIDED ON AN “AS IS” AND “AS AVAILABLE” BASIS. YBAM, EASTERN HORIZON, ITS AFFILIATES, AGENTS AND LICENSORS CANNOT AND DO NOT WARRANT THE ACCURACY, COMPLETENESS, CURRENTNESS, NON-INFRINGEMENT, MERCHANTABILITY, OR FITNESS FOR A PARTICULAR PURPOSE OF THE INFORMATION, MATERIALS AND SERVICES AVAILABLE THROUGH OUR SITES. WE DO NOT GUARANTEE OUR SITES TO BE ERROR-FREE, SECURE, CONTINUOUSLY AVAILABLE OR FREE OF VIRUSES OR OTHER HARMFUL COMPONENTS. OUR SITES ARE PROVIDED WITH THE UNDERSTANDING THAT YBAM, EASTERN HORIZON AND ITS USERS, WHILE SUCH USERS ARE PARTICIPATING IN THE SITES, ARE NOT ENGAGED IN RENDERING LEGAL, MEDICAL, COUNSELING OR OTHER PROFESSIONAL SERVICES OR ADVICE. OUR SITES ARE NO SUBSTITUTE FOR PROFESSIONAL SERVICES OR ADVICE. YBAM, EASTERN HORIZON, ITS AFFILIATES, AGENTS, AND LICENSORS MAKE NO WARRANTY REGARDING ANY GOODS OR SERVICES REFERRED TO, ADVERTISED ON, OR OBTAINED THROUGH OUR SITES. UNDER NO CIRCUMSTANCES WILL YBAM, EASTERN HORIZON OR ITS AFFILIATES, AGENTS OR LICENSORS BE LIABLE TO YOU OR ANYONE ELSE FOR ANY DAMAGES ARISING OUT OF YOUR USE OF ANY OF OUR SITES, INCLUDING, WITHOUT LIMITATION, LIABILITY FOR CONSEQUENTIAL, SPECIAL, INCIDENTAL, INDIRECT, OR SIMILAR DAMAGES, EVEN IF WE ARE ADVISED BEFOREHAND OF THE POSSIBILITY OF SUCH DAMAGES. YOU AGREE THAT THE LIABILITY OF YBAM, EASTERN HORIZON, ITS AFFILIATES, AGENTS AND LICENSORS, IF ANY, ARISING OUT OF ANY KIND OF LEGAL CLAIM IN ANY WAY CONNECTED TO ANY OF OUR SITES WILL NOT EXCEED THE AMOUNT YOU PAID TO US TO USE THE SITES. BECAUSE SOME COUNTRIES OR STATES DO NOT ALLOW THE EXCLUSION OR LIMITATION OF CERTAIN CATEGORIES OF DAMAGES, THE ABOVE LIMITATION MAY NOT APPLY TO YOU. IN SUCH COUNTRIES OR STATES, THE LIABILITY OF YBAM, EASTERN HORIZON, ITS AFFILIATES, AGENTS AND LICENSORS IS LIMITED TO THE FULLEST EXTENT PERMITTED BY THE LAWS OF SUCH COUNTRY OR STATE. This site is controlled and operated by YBAM based in Petaling Jaya, Malaysia. Those who choose to access our site from other locations do so on their own initiative and are responsible for compliance with applicable local laws. This Visitor Agreement constitutes an agreement made in, and to be construed in accordance with the laws of Malaysia without regard to its conflict of law provisions. By using this site, you consent to the exclusive jurisdiction of the courts in Malaysia, in all disputes arising out of or relating to this agreement or any of our sites. You agree not take any legal action against us that relates to or arises out of any of our websites without first (a) sending us via email, a detailed written description of the facts and law out of which your claim arises; and (b) negotiating with us, in good faith, for not less 30 days, toward resolution of the dispute. All correspondence concerning such dispute must be sent to dispute at admin@easternhorizon.org, or such other designee as YBAM or Eastern Horizon may identify from time to time. In the event that any provision of this Visitor Agreement conflicts with the law under which this Visitor Agreement is to be construed or if any provision is held invalid by a court with jurisdiction over the parties to the Visitor Agreement, such provision will be restated to reflect as nearly as possible the original intentions of the parties in accordance with applicable law, and the remainder of this Visitor Agreement will remain in full force and effect. If either party fails to insist upon or enforce strict performance by the other party of any provision of the Visitor Agreement, or to exercise any right under the Visitor Agreement, such a failure will not be construed as a waiver or relinquishment to any extent of such party’s right to assert or rely upon any such provision or right in that or any other instance. Contents on this site are copyright 2000-2013 by YBAM, Eastern Horizon or its affiliates or licensors. Unauthorized distribution or reproduction is forbidden. If you have questions or wish to obtain more information from or about YBAM or Eastern Horizon, please visit www.ybam.org.my or www.easternhorizon.org. The information we gather through our Services falls into two categories: (1) information you voluntarily supply to us when you register, initiate transactions or communicate with us through the Services, and (2) information collected automatically as you use our Services. Third-party providers and advertisers featured on, or linked to from, our Services may also gather information through processes that we don’t control and subject to their own separate privacy policies, which may differ from ours. Registration and Other Personally Identifying Information. You may register to use certain features of our Services. When you register, we may collect personally identifying information, including your name, postal address, email address, user name and password, reminder questions and answers and communications preferences, such as which newsletters you would like to receive. We may also ask for information about age, gender, hobbies, interests and the like, but you’re free to register for most of our Services without providing this additional information. When you register for one of our Services, the information you provide may be added to a centralized Eastern Horizon database so that you may be simultaneously registered for our other Services as well. In addition, when you use various aspects of our Services, we may ask you for personally identifying information, including when you order products, complete a survey, enter a contest, or report a problem with our Services. We and our authorized third-party service providers use this information to process orders, tailor our Services to your interests or otherwise improve our Services. We may also collect contact information for other individuals when you use the sharing tools available within some of our Services to forward content or offers to your friends and associates. We use this information to facilitate the communications that you request. Please note that if you use any “send-to-a-friend” features of our Services, your email address may be included in the communication sent to your friend. Information about your interactions with our video content, such as the type of content viewed on our Services; information about your interactions with our email messages, such as the links you click on and whether you open or forward a message; and standard server log information. Personalization and Tracking Technologies. Like most website and mobile application operators, we, or third parties acting on our behalf, use embedded scripts, “cookies,” web beacons and other similar technologies to operate our Services. Cookies are small amounts of data (often containing a unique identifier) that are stored in separate files within your computer’s Internet browser. Cookies are accessed and recorded by the websites you visit, and by the companies that deliver the advertisements you see on websites, so they can recognize the same browser navigating online. To help us recognize your browser as a previous visitor and save and remember any preferences that may have been set while your browser was visiting one of our websites. For example, if you register for a Eastern Horizon Service, we may save your username and password, so you do not have to re-enter them each time you visit. To help control the display of advertisements and customize the content and advertisements you see while using our Services and sometimes while visiting other websites online. To help us measure and analyze visitor traffic and usage patterns and to improve the quality and effectiveness of our content, features, advertisements, and other communications. Third-party companies that provide some of the tools and features accessible through our Services and advertisers and other companies involved in the delivery of the advertisements that you see while using our Services and other websites also may place cookies within your browser. We do not have access to these cookies and do not control how they may be used. You can set your browser to accept or reject most cookies, or to notify you when a cookie is set. (Each browser is different, so check the “Help” menu of your browser to learn how to change your cookie preferences.) It is up to you whether to allow us or third parties to send you or to set cookies, but if you block cookies, you may not be able to view or access some of the features of our Services. Please be aware that certain browsers cannot block or delete so-called “Flash” cookies, which use a feature of the Adobe Flash video player to store information on your computer. For information about how to delete Flash cookies, please visit the Adobe website here. Mobile Device IDs and Location-Based Information. Certain mobile devices, including smart phones and tablet devices, contain unique device IDs that can be used to identify their physical location. Mobile devices also typically transmit caller ID data (which may include a phone number) when used to transmit a telephone call or text message. When you use mobile devices to access our Services, we may collect and transmit unique device IDs and collect caller ID data, information about your wireless carrier, the make, model and operating system of your device and information about how you navigate within our Service. With your consent, we also may use precise geolocation technology such as GPS or WiFi triangulation to collect information about the exact location of your mobile device. We use this information to provide you the content and services you request, tell you about offers we think you will value, and improve your experience using our mobile applications and other Services. You may cancel your Subscription at any time during your subscription term. If you choose to cancel your Subscription, please note that we do not issue any refunds for the remainder or unexpired term of your Subscription.